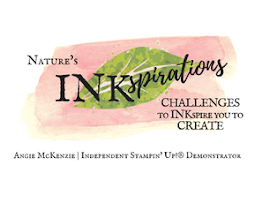 Thank you for joining us for our Demonstrator Training Blog Hop! 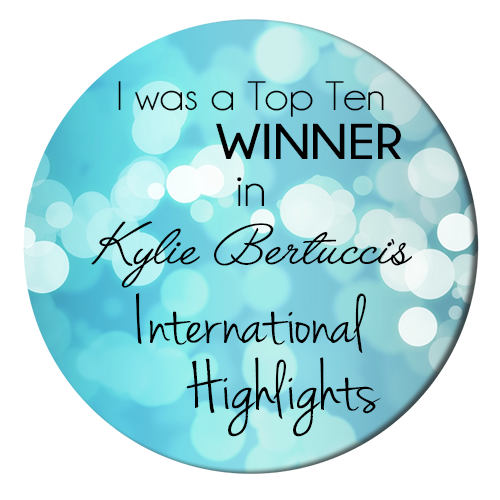 I am so humbled to be a part of Kylie's Demonstrator Training Group again this year. 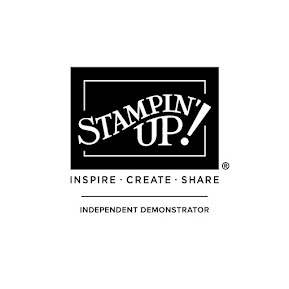 This group provides such an invaluable amount of training to help demonstrators in this group with their Stampin' Up!® businesses, not only from Kylie, but her amazing guest speakers - many of whom are top global Stampin' Up!® Demonstrators - and the members themselves. There is nothing like being inspired to do great things! Today's card features the rapidly popular Floating Frame technique inspired by Emma Goddard and Jennifer McGuire! 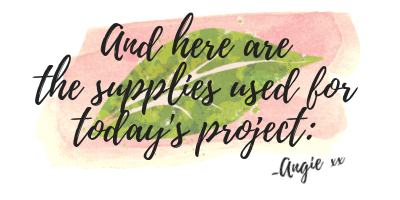 I recall seeing Jennifer's blog post over the Christmas holidays and had it on my to do list for things to try... Emma featured this incredible technique during the 2018 Artisan Design Team Reunited Blog Hop and it's been popping up everywhere ever since! 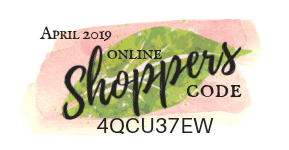 So without further ado, here's what I created while CAS(e)ing these two incredibly talented stampers! With everything greening up here in NW Ohio, I just had to use this technique with these Floral Frames blooms. The blooms were stamped in Gray Granite and watercolored with a damp Aqua Painter in Blushing Bride, Petal Pink, Calypso Coral and So Saffron inks. Once dry, the blooms were die cut and arranged on a piece of cardstock cut to the size of the card front. Next came the Press 'n Seal being pressed down and adhering to the base piece so it could be flipped over and trimmed all around. This trimmed panel was then ran through the Big Shot with the Rectangle Stitched die to cut out the center which was set aside. I loved the edge-to-edge frame that I had created, but the tiny blooms were calling to me that they needed more room to grow, so I "pruned" them with the largest Rectangle Stitched framelit. And set the wee scrap border to the side to toss in the trash... The Whisper White frame layer was die cut next to match the blooms layer. Adhering all the dimensionals to the back side of the blooms and flipping it over onto the frame layer came next followed by the slow, gentle pulling back of the Press 'n Seal. And "ta-dah!" the frame was done and adhered to the card base with liquid glue. The sentiment was stamped in Gray Granite onto the center frame layer rectangle and adhered the same. Pearls were added as a finishing touch. And here's the second card that I made with the center cut out from the above card frame! A little watercolor wash of So Saffron, Calypso Coral and Blushing Bride was inspired by the sunrise/sunset views at this time of year. A few loops of Linen Thread behind the cut out and a nice filling in of pearls finished off the floating layer. An extra blossom was added to compliment the sentiment. This Floating Frame technique is so much fun and the possibilities for your creativity are endless! 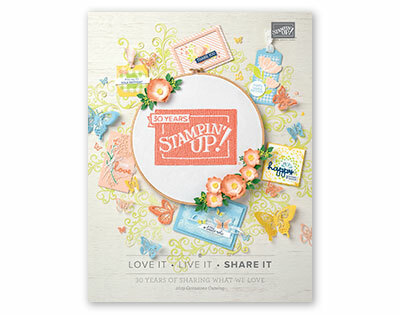 What stamps and die cuts are you wanting to try now? I cannot wait to see what you create! 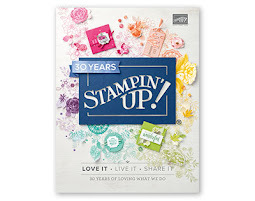 If you've enjoyed today's project then you might want to check out this project using the same technique with a twist by overlapping the die cuts so you get a stamped see-through card. Thanks for visiting my blog today and being a part of this hop with us! I believe you're going to enjoy the other projects in this hop and get lots of ideas and inspirations for your own creations. 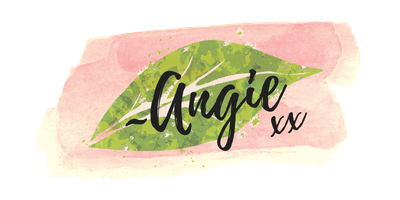 You are currently at my blog - Angie McKenzie - so check the list below to see who is next as you sure don't want to miss any!